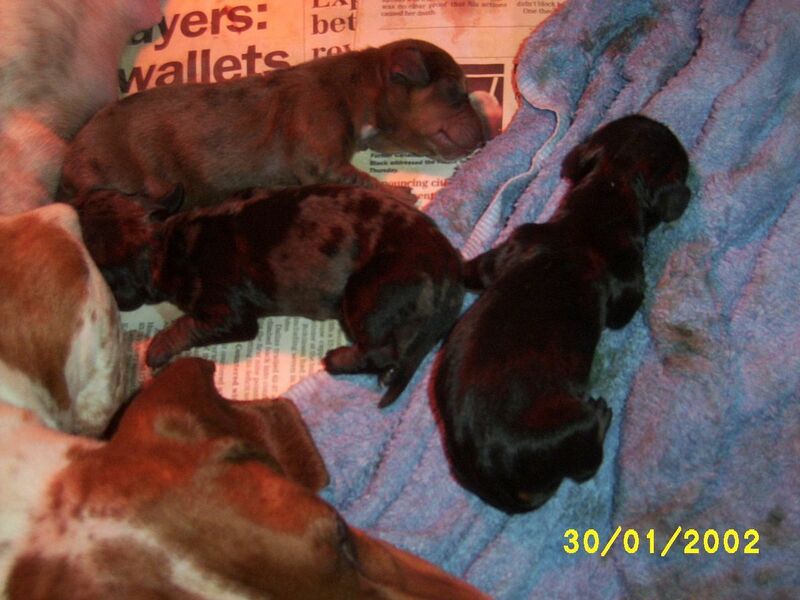 Tilley and three of her babies. These are three of Tilley's beautiful babies. This picture was taken during the whelping process. Two more babes followed. 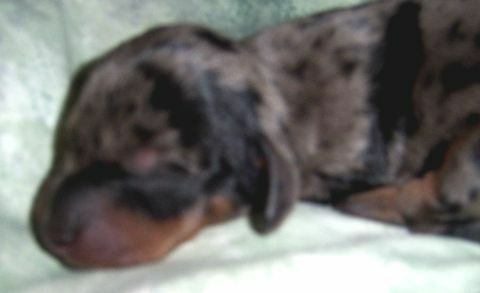 She has one dark dapple(male), one light silver dapple(female), one black and tan(male - who is sold), two red dapple(females) who are also sold. This is a front view of star. Star was approximately 1 day old when this picture was taken. 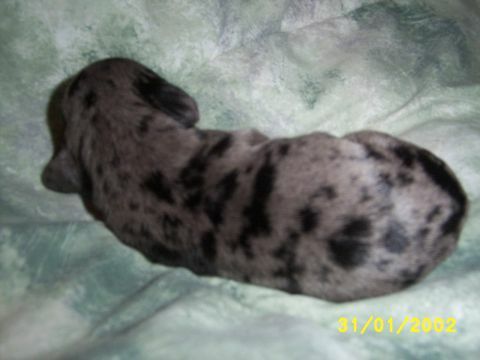 This is Tilley's silver dapple female. 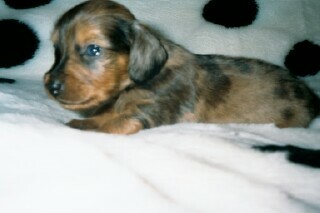 This is our little silver dapple female. We have temporarily named her star. She has beautiful blue eyes.